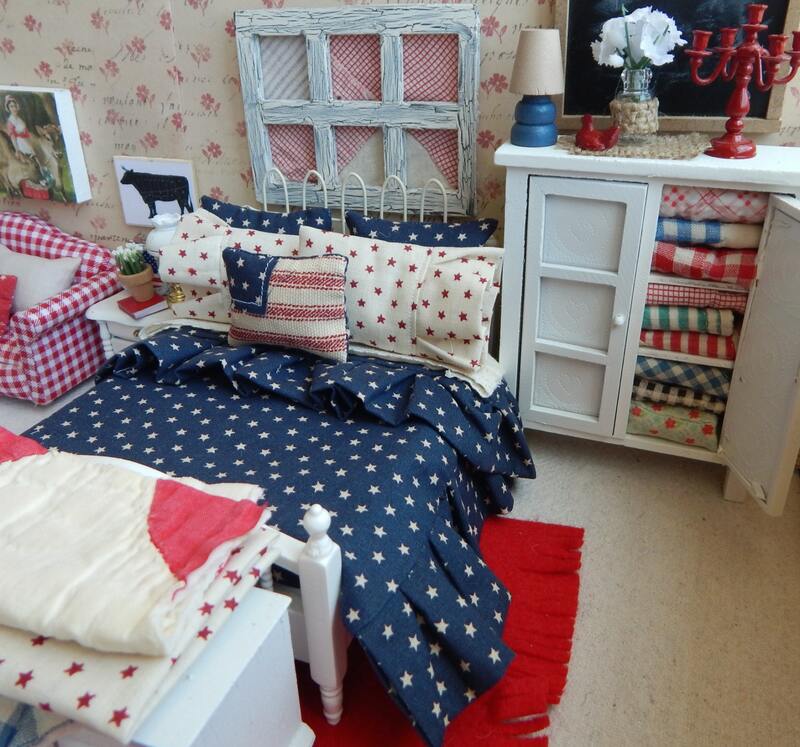 Celebrate the patriotic season by displaying this little full/queen bedding set. 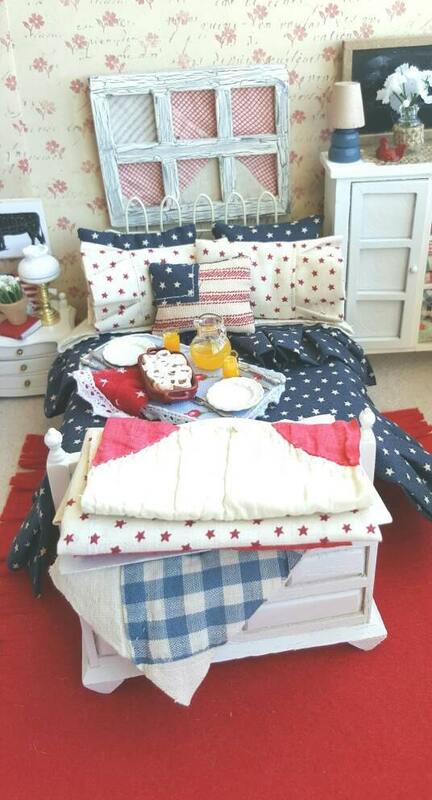 Bedding set includes the following: new hand sewn white cotton mattress, lace embellished, sheet. 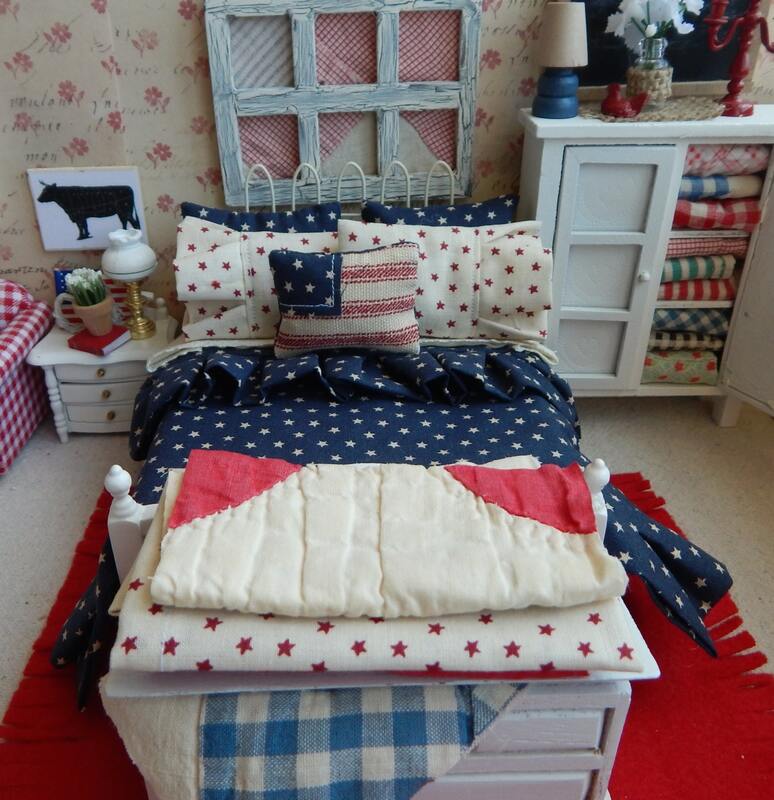 Navy with stars, reversable comforter. 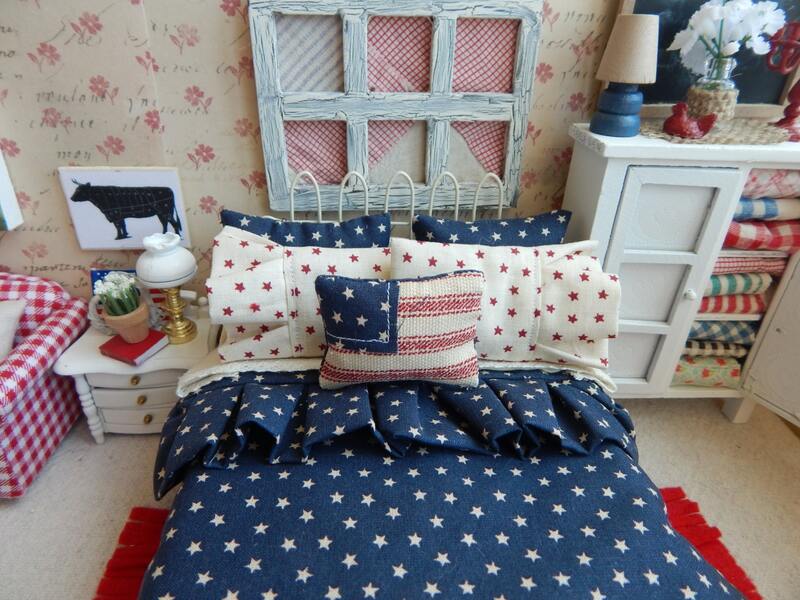 Ruffled pillow cases and decorative flag pillow. Red wool felt rug is also a part of this listing. This set will be featured in a dollhouse miniatures magazine this summer. Other items shown in the picture are for sale separately in my shop. Bed is approximately 6.5" long and 5" across. 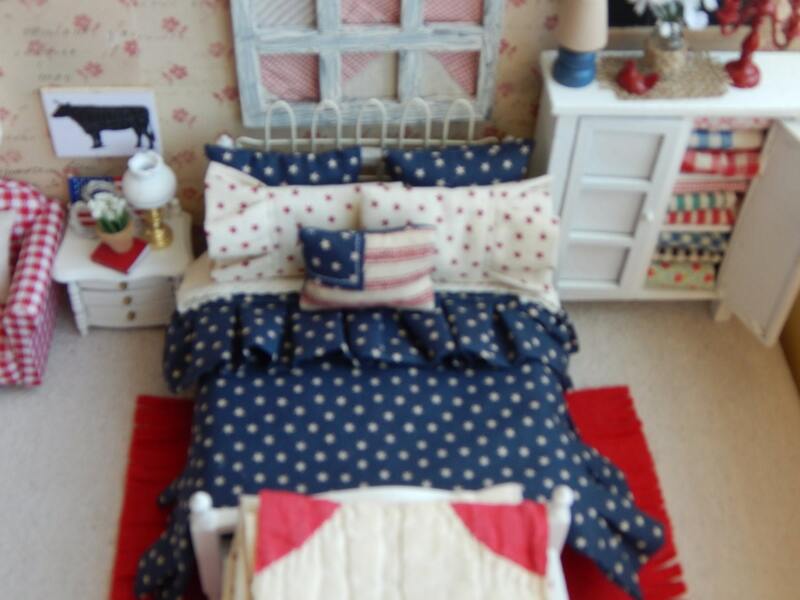 Bed is new and from a dollhouse manufacturer. Debbie’s attention to detail and her skill is amazing! Thank you!